When it comes to versatility in design for your home’s landscaping, retaining walls open up a wealth of different possibilities, both aesthetic and functional, and when properly done, they can add a great deal of value to your home and all for a very reasonable price. Stone retaining walls are highly durable, long lasting, and provide you with a wide array of different design choices to really make your landscaping design your own. To help highlight just a few of the many benefits that come along with making use of high quality retaining walls as part of your home’s landscaping design, our team of professionals have taken the time to put together this short list that goes over just a few of the many excellent reasons to incorporate one or more into your landscaping. 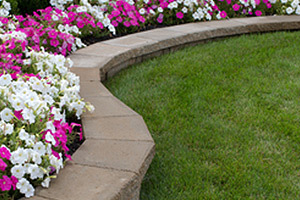 We invite you to give this article a quick read through, and if you decide that a brand new stone retaining wall is the right choice for your home’s landscaping, give our team of skilled professionals a call today to schedule an appointment for your consultation. If your home’s landscaping has any steep areas where dirt tends to get lost during heavy rains, a new retaining wall can go a long way in helping to resolve that issue. Preventing erosion and maintaining stability for your landscaping is a very important part of being a responsible homeowner, as the damages it can lead to are both highly frustrating to deal with and can be very expensive. Incorporating a stone retaining wall into your landscaping design will help to fight this erosion and keep your landscaping right where you need it to be, as well as help to enhance the overall aesthetic of your property. If your property has a number of hills or slopes, adding a retaining wall can be a great way to free up some more space around your landscape. Despite how it might seem, creating a tiered landscaping design using retaining walls can actually help you make more efficient use of the space you have available, and free up some room around your property for other projects or activities. If you have any low areas around your property that are prone to flooding, a new retaining wall can be a huge help in working to save your landscaping anytime a great deal of rain starts to come down. When properly placed and installed, a retaining wall can help to deter and direct floodwater away from these areas and away from your property, helping to guard your landscaping against erosion and working to actively channel rainwater away from your property, effectively providing your landscaping with an additional layer of defense anytime the rains start to come down. 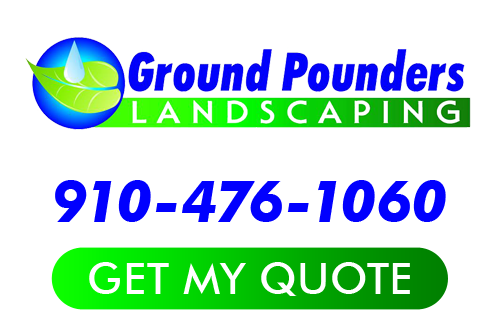 If you are looking for a Fayetteville hardscapes expert, give us a call today at 910-476-1060 or fill out our online request form.